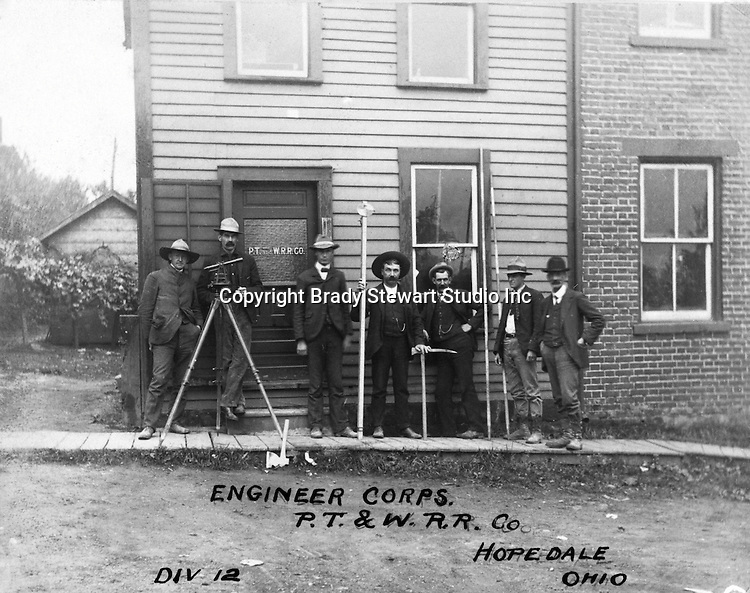 Hopedale OH: Engineers and Surveyors posing for a progress photograph outside the company office - 1903. The Pittsburgh, Toledo and Western Railroad company, owned by the famous George J. Gould, hired Brady Stewart to document the track and tunnel construction between Hopedale Ohio and downtown Pittsburgh. Brady Stewart is second from right in photo.